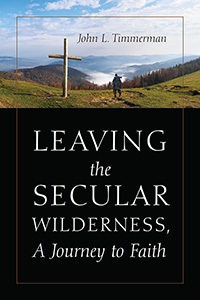 John Timmerman’s “Leaving the Secular Wilderness, A Journey to Faith” illuminates the stark differences between secular living and living in faith to God. If you have ever been curious about Christianity and churches, this book can provide insight about the beautiful life available to everyone through a free, yet priceless choice! Previous Previous post: Cyber Week Sale! Save $200 or More When You Start Publishing!